The challenge for the modern contact centre is integrating a diverse channel of communication into a coherent, measurable whole. This is why G2Connect use Cisco at the core of our call centre offering. 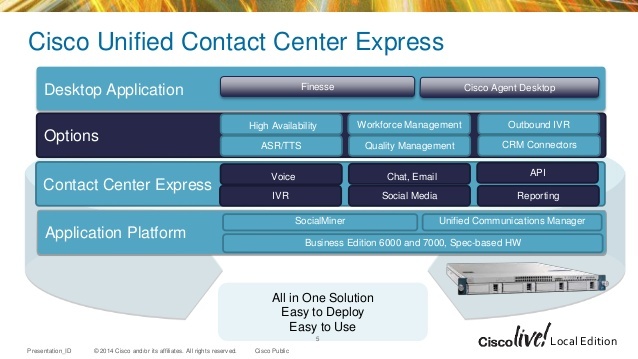 Using Cisco and G2Connect’s development experience, we can integrate the call centre with other applications in your environment, such as CRM or ticketing systems. Cisco provides a reliable, scalable call centre solution at a completely different price point to proprietary platforms. G2Connect’s Cisco based call centre solution offers everything expected of a leading edge platform including; Interactive Voice Response (IVR), Inbound Automated Call Distribution (ACD), Predictive Dialling, Payment Gateways, PCI Compliant Call Recording and comprehensive Call Centre reporting.